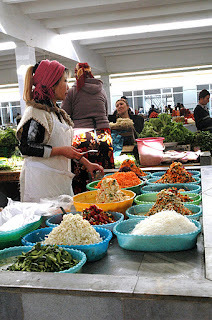 On first visiting Uzbekistan you will be struck by the Korean faces in the streets, in banks, in hotels and in markets. Although South Korea is the second largest investor country in Uzbekistan, the estimated 200,000 ethnic Koreans have been there for several generations. What's the back story? Russia annexed the Maritime Province (Primorsky Krai) on the Pacific coast in 1860, following the signing of a treaty with Peking. As Korea's Joseon dynasty declined, thousands of Koreans, driven by poverty and opportunities in the resource-rich, sparsely-populated Russian Far East, moved to this area, just south of Vladivostok, the administrative capital. 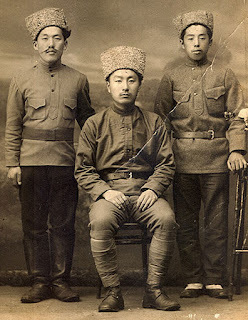 When Japan annexed Korea in 1910, thousands more Koreans fled to Russia. By the time of the October revolution in 1917, there were over 100,000 Koreans living in the region and in the 1920s the community had almost 400 Korean-language schools and seven Korean newspapers. Although these were heavily subsidized, requests for an autonomous Korean province within the USSR were rejected. After Japan invaded Manchuria in 1931, Koreans in the Maritime Province allied themselves with the USSR and did not oppose Stalin's decree of compulsory Soviet citizenship in 1932. However, following an agreement in 1935 between Moscow and Tokyo, which included a provision for Korean political activities to be curbed, a mass deportation of Soviet Koreans began. Stalin regarded large ethnic communities as threats to the state: he viewed the Koreans as Japanese spies! Over 170,000 Soviet Koreans were transported by rail, in appalling conditions over 40 days, to Uzbekistan and Kazakhstan. Often the deportees were left in isolated locations in the open steppe or forced to work on collective farms. In 1956 Khrushchev permitted Soviet Koreans the right to live where they wished and pursue whatever work they chose. Many moved to cities to study and take up professions such as medicine, engineering and teaching that were hitherto denied. Just as they had succeeded in farming, Soviet Koreans enjoyed professional success. Now, 80% of Uzbek Koreans are urban dwellers. In 1994 an Uzbek Korean was elected to parliament. Today, apart from the strong economic linkages between South Korean and Uzbekistan, South Korean popular culture has swept through Central Asia. As the Korean ambassador to Uzbekistan stated: “Young people in Uzbekistan dream of driving a Daewoo car, and watch Korean television shows on an LG TV set hooked up to a Samsung DVD player". Update July 2012: Korean-Uzbek director Ruslan Pak won the grand prize in the best international new talent category at the 2012 Taipei Film Festival on Wednesday for his film about third generation Koreans in Uzbekistan. Hanaan is about a Korean-Uzbek detective who tries to avenge the drug-fueled death of his friend. In 2007 a documentary Koryo Saram - the Unreliable People was made by Y. David Chung and Matt Dibble. It tells the harrowing story of the 1937 deportation through the eyes of survivors. How these Koreans integrated with Soviet society while maintaining their traditional identity is a fascinating testament to the power of cultural heritage. Listen to some stories and see rare archival footage in the 4-minute video clip below.